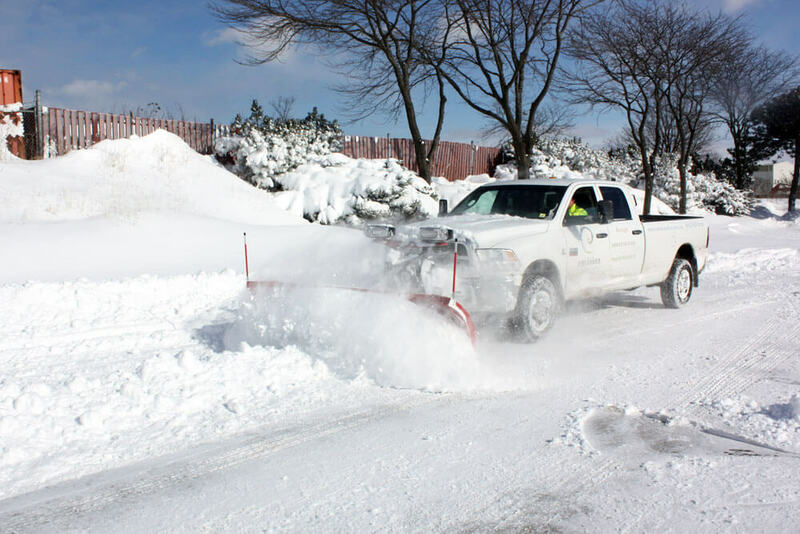 Envision Landscapes offers flexible residential and commercial snow clearing to suit any property. 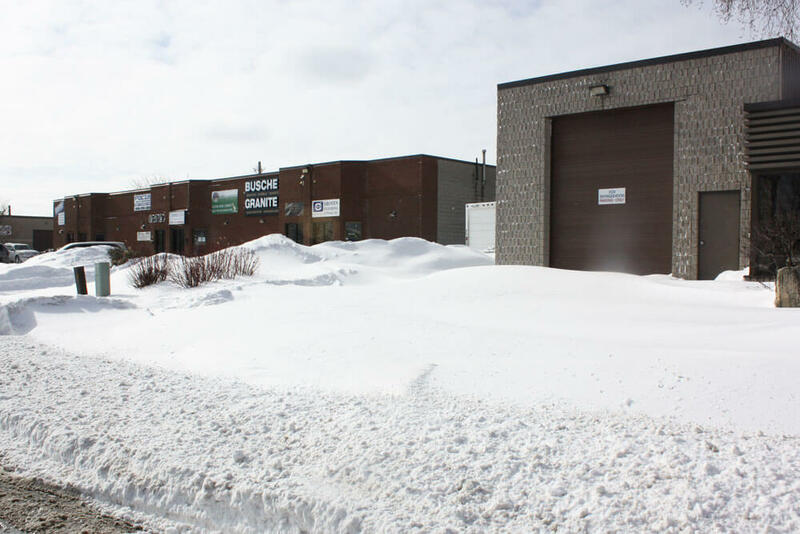 With the harsh Canadian winters that we often receive, it is an essential part of a maintenance contract for many people. 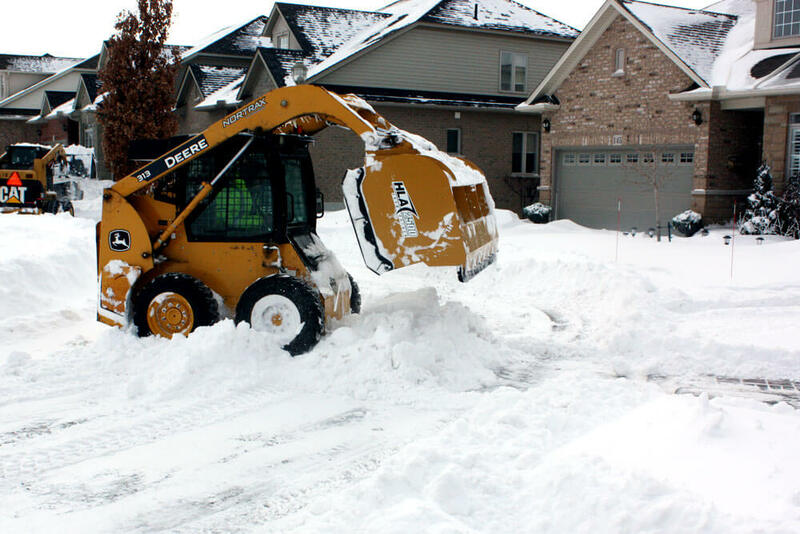 We use a combination of large plows on trucks, machines with buckets, snow blowers and shovels to clear out properties based upon the needs of the property and the client. Every property has different requirements, and with a look to professionalism and reliability, we are there to serve you. 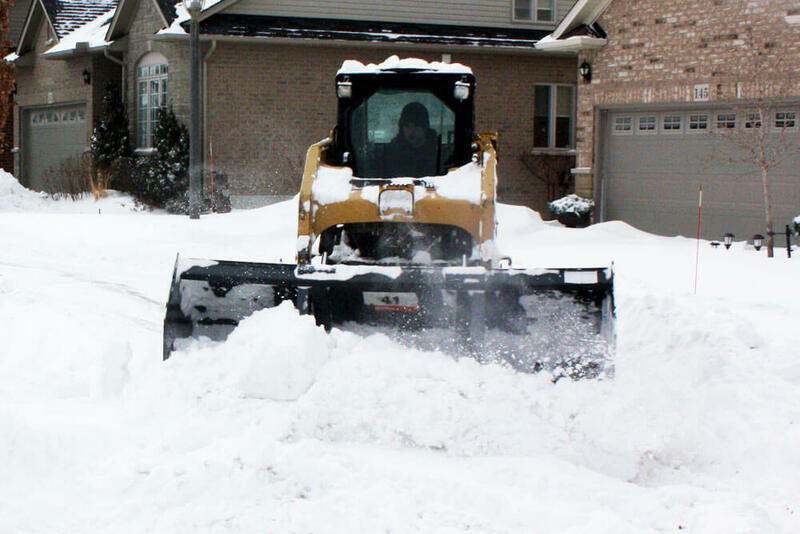 Residential snow clearing is performed primarily in the Ancaster area. 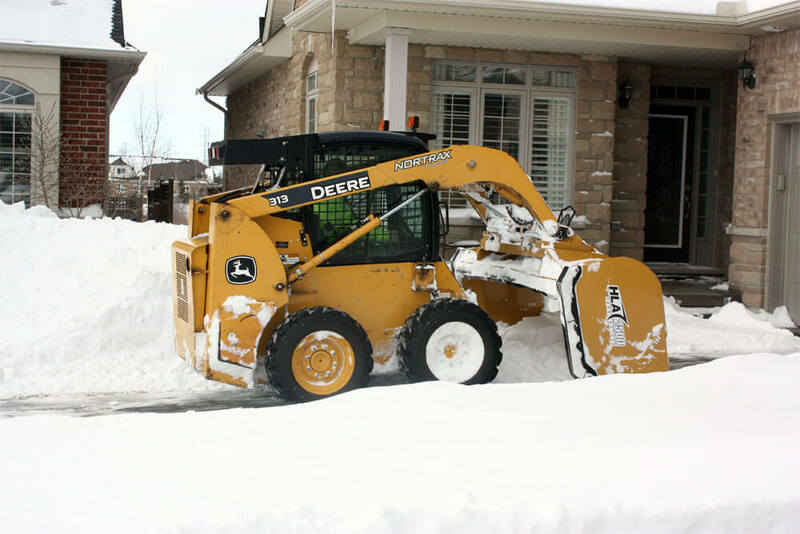 Residential snow clearing includes clearing the snow from the driveway with a combination of equipment as well as clearing the front walkway and other walkways as required. 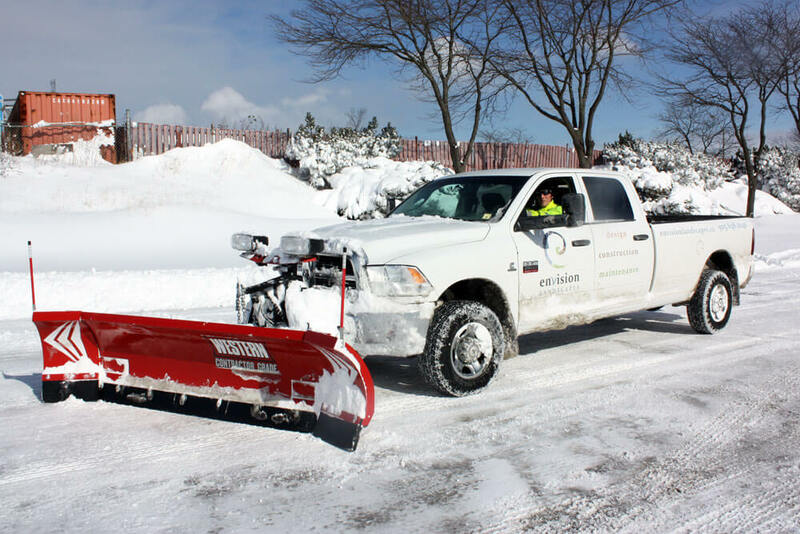 Feel free to contact us with any questions regarding the residential snow clearing as well as to receive a price for your property. 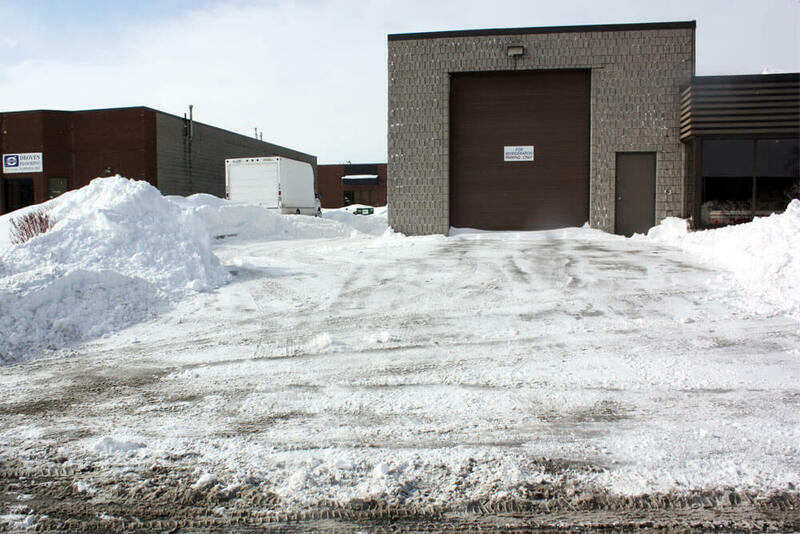 Commercial snow clearing is performed for many businesses in the Ancaster, Hamilton & Stoney Creek areas. 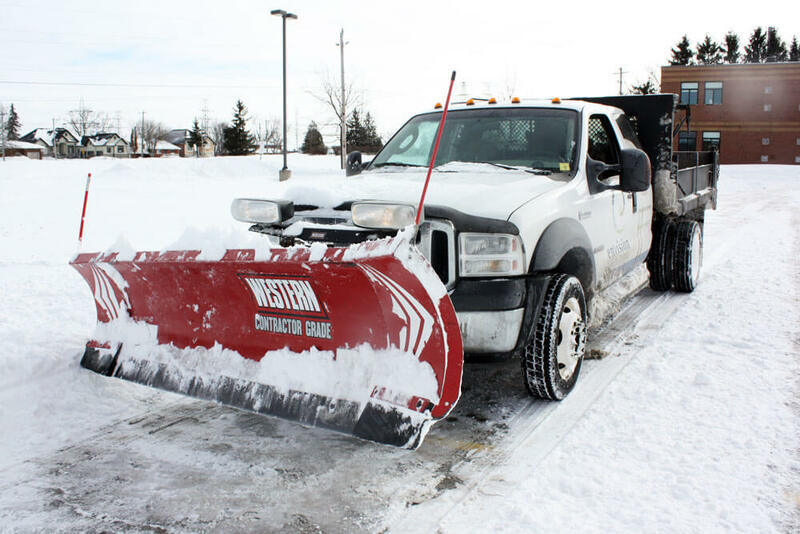 It often is paired up with salting & de-icing services to create a hazard free environment for people who come into the businesses on a daily basis. 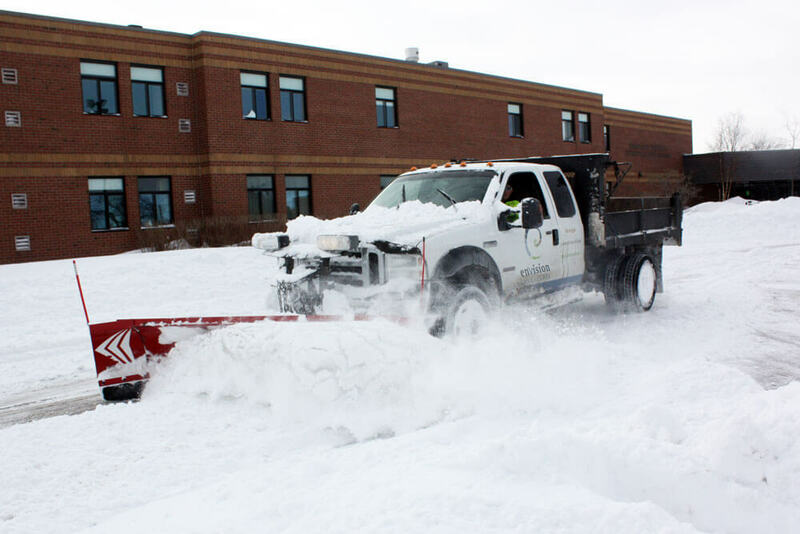 Envision has your company open for business in the morning after an evening snowfall, and can be counted on for reliable and worry free snow removal services. Contact us today for a custom quote for your property. After finishing a major home reno, we were in dire need of a complete property makeover including grading, water management, sod and interlock in our new breezeway. Envision Landscapes came highly recommended, and after interviewing several companies as to their thoughts on the best solutions that could fit within our budget, we were impressed by how well Matt listened to, and understood our needs. He tailored his estimate to offer a phased in approach so we could choose which items we wanted to move forward with in the short term, and which we could table for a later date. His suggestion on which stone to use was a perfect fit for the rest of the stone skirt around our new home, and when Dave and his crew arrived to begin work, we were thrilled with the quality, professionalism and work ethic of the entire Envision team. We absolutely love our new breezeway and lawn, and look forward to having them back to finish all our future landscaping needs. Envision Landscapes is a landscape contractor supplying residential and commercial clients with landscape services in Hamilton, Ancaster, Stoney Creek, Burlington, Oakville, Brantford, Caledonia and surrounding area. © 2019 Copyright Envision Landscapes.